Ellen Pompeo took Nicole Richie's advice and opted for the gold sequin Winter Kate dress for her NYE celebrations in Las Vegas. 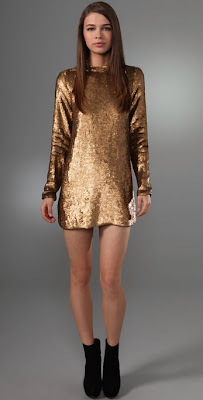 Nicole Richie also wore this statement gold sequin Winter Kate dress in Las Vegas last year. The question is who do you think wore it best! ?